I decided to draw a bush I see every morning at Brueggers, the local bagel and coffee cafe I go to every morning. I wanted to experiment with a set of new Copic Multiliners Inking Pens. The first drawing I used varying nib sizes of the "technical" pens. The sizes ranged used were 0.03, 0.05, 0.1, 0.3, and 0.5. It took around 10 minutes to draw using the varying nib sizes. I'm not sure if that's slow compared to other artists that use these pens, but for me it felt like an eternity. I then drew the same bush using one Copic Multiliner Small Brush pen. It was a lot more freeing using the brush pen, and it only took just over one minute to complete. The Copic Multiliners I used to sketch the inked drawings of the bush. 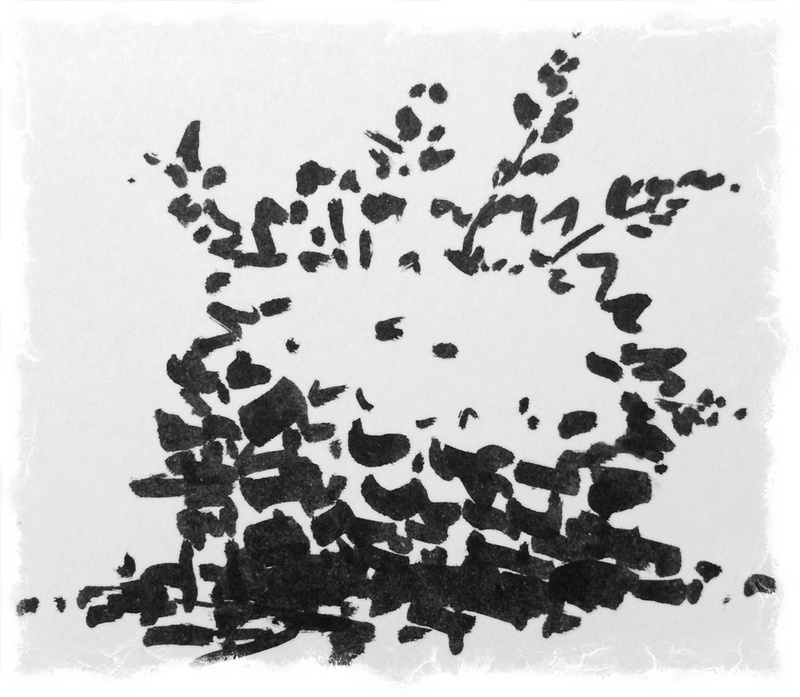 Which inked sketch of the bush do you like best?